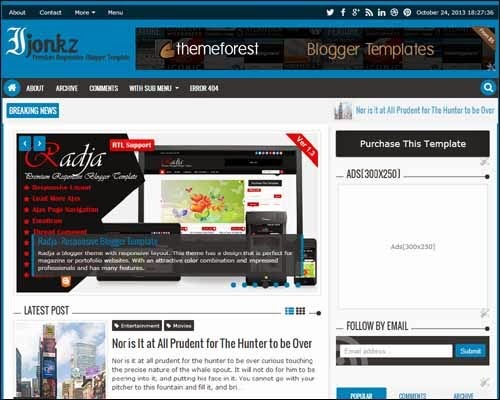 by title Free Download Ijonkz Responsive Magazine News Blogger Template (Premium). You can bookmark this page with a URL http://temp-free.blogspot.com.br/2013/10/free-download-ijonkz-responsive.html. Thank you!